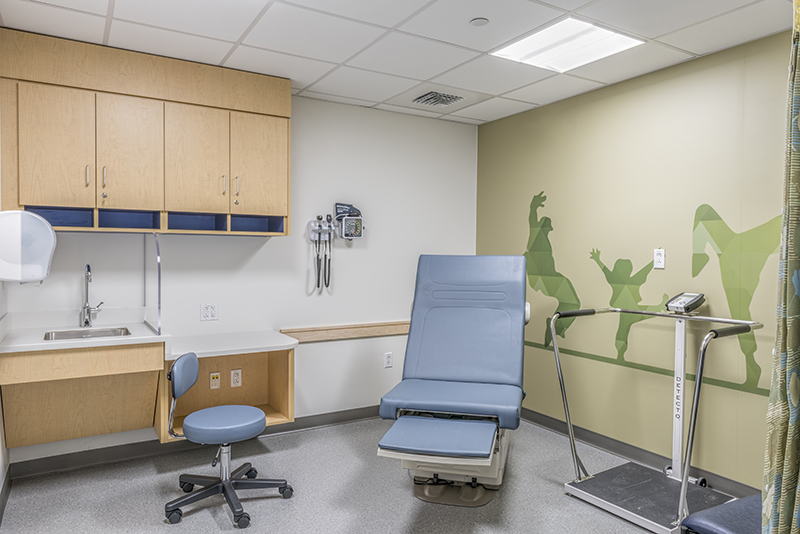 Boston Medical Center’s Family Medicine Department is a primary care facility for individuals and families throughout all stages of their lives, from infancy through senior years. The ambulatory space provides primary care services, immunizations, sports physicals, behavioral health services and women’s health services to the community. With over twenty exam rooms, three consult rooms, and extended hours, the facility serves hundreds of patients daily. 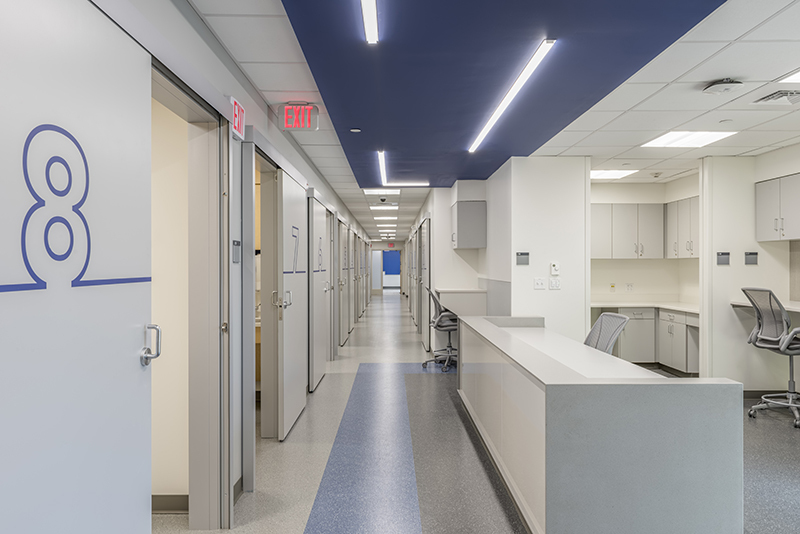 As a part of the hospitals on-going Clinical Campus Redesign projects, the department needed to move into a new space on Melnea Cass Boulevard. Because the new space previously was not used as a medical facility, zoning restrictions and required variances lead to delays previously unforeseen by the owner on the construction start, and drastically reduced the schedule of the facility. Wise Construction was then brought in to complete the space on a fast-track, 10 week timeline. 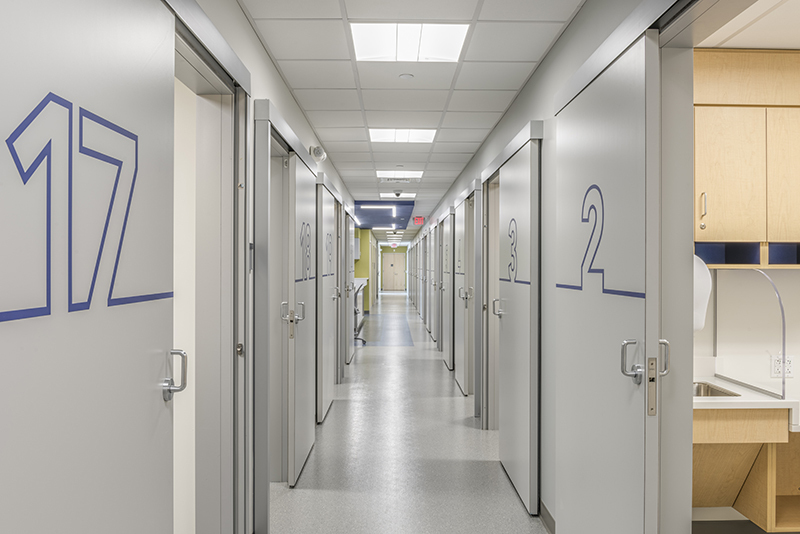 Work in the department included the addition of two new rooftop mechanical units, the creation of exam rooms, nurses stations, restrooms, and a waiting area with the ability to turn into multipurpose space using a demountable partition. Wise also worked with BMC to assist in the DPH application process. 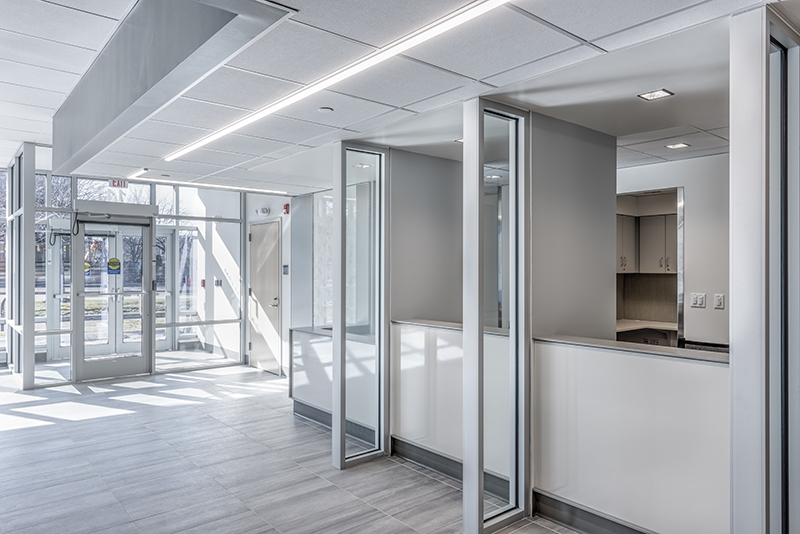 To complete the project on-schedule without compromising quality, the Wise team leveraged their expertise with Lean practices, using a continuous workflow, starting from the east side of the building and working towards the west.